RATSAK® Max Strength™ Rat Trap is a reusable, plastic trap with strong powerful killing force. 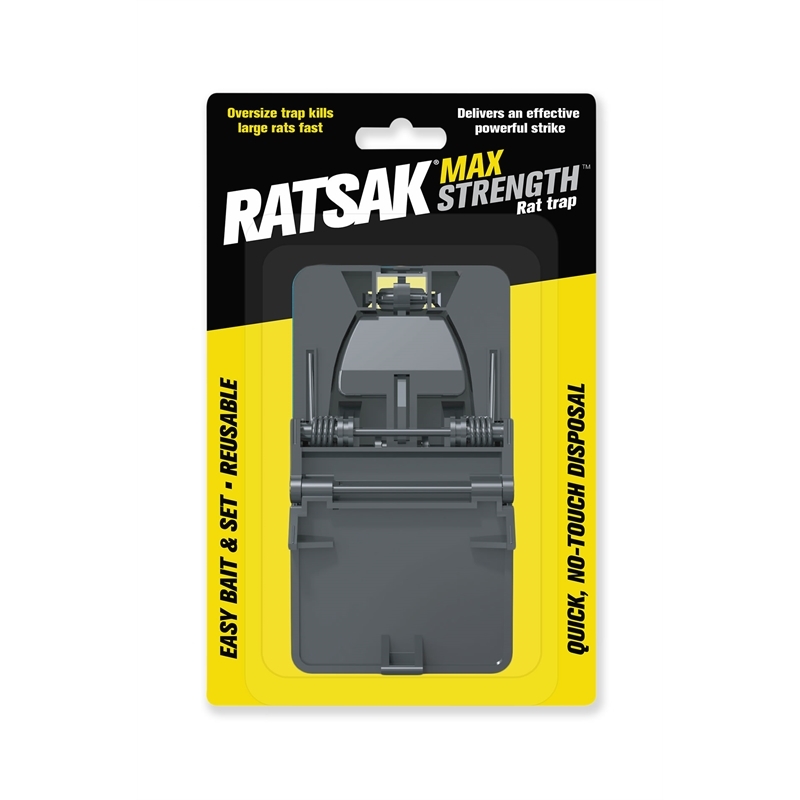 The robust design quickly and effectively controls unwanted rats of all sizes in and around your home. Large trap to effectively control rats of all sizes. Trap can be baited before it is set for added safety.